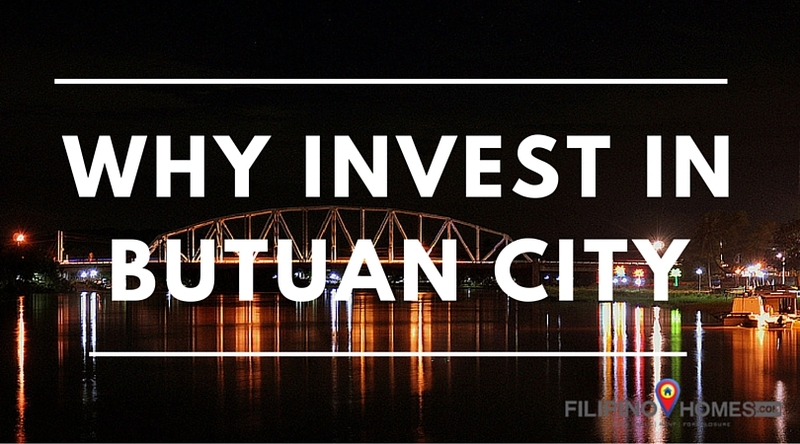 Why Invest in Butuan City? Butuan City has been categorized as a highly-urbanized city since 1985. People of different religions enjoy the peace and progress of the city. Butuan City is generally peaceful and conducive for more investments. Since this city is not being featured in the mainstream media in the Philippines and even in Asia, many thought that Butuan City is like a remote province of history, rural and laid back. 1. Bangko Sentral ng Pilipinas opened its regional office here which manifest strong economy of the city. 2. National-based retail giants are set to open here and some are already operating giving the locals more option in shopping, entertainment and dining. 3. Large real estate developers in the country has started construction of its upscale, economic and socialized subdivisions. E.g. Filinvest, ABrown, Camella Homes. Local based developers are also emerging providing socialized and economic housing to their fellow Butuanons, to invest in their future homes. 4. Familiar fastfood chains and coffee shops from mainstream Manila invest in Butuan City and have their own outlets here through business franchising. 5. Presence of telcos and internet providers. Smart, Globe and Suncellular are broadcasting in good signals. Fiber DSL and other cable internet providers are here too. 6. Presence of numerous car dealership business operating in the city for many years and more coming. The number of car dealership business are increasing which means the locals and the people in Butuan are buying cars whether for personal use or for business use. 7. Convention Facilities and Hotel Accommodations are readily available to cater the needs for Mindanao-wide and national conventions. They have audio-visual equipment for multimedia presentations which encourages investors to invest in Butuan City and its neighboring cities and municipalities. 8. Cultural and Educational institutions of Butuan City are producing top notchers in board exams, and among the top performing universities in the country. These educational institutions are consistently producing passers in licensure exams and top ranked not only in the Philippines but in Asia as well. 9. Butuan City has four tertiary hospitals capable of providing quality health service to the people of the city. 10. Accessibility. Butuan City is accessible by land, sea and air. Bancasi Airport is even dubbed as one of the busiest airport in the country. With all of these in place, Butuan City is an eye candy for investment. If you are planning to invest a land or a business in Butuan City search for the best and reliable real estate and investment advisors here. Xy-Za Yape is a founding member and a blogger of Filipino Homes. She is also a PRC and HLURB Registered Real Estate Professional and a Licensed Financial and Investment Advisor. She is an International Realtor member. She is a Hubspot certified in Inbound Marketing. She is also the co-founder of Iligan Bloggers Society, Inc.